Non-provision of Ricovir-Em (Mylan Pharmaceuticals) and Mandatory Prescriptions - Ricovir-Em is a Generic PrEP produced by Mylan, largely in India. We do not provide Ricovir-Em by Mylan Pharmaceuticals. We provide Teno-Em, a PrEP Generic produced by the Thailand Government (Thai GPO) to improve HIV prevention accessibility to its citizens. Each bottle is backed by a Certificate of Analysis and return/refund/recall guarantee for defective medication. 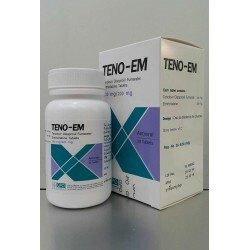 As an authorised Teno-Em agent and legal service provider, we can only serve patients with valid prescriptions due to the health risks of using PrEP without proper diagnosis and certified doctor consultation. If you are buying PrEP without prescription, the provider has decided to put your health at risk for sales and you should insist on proof of your medication authenticity. Protect yourself from HIV* with Pre-Exposure Prophylaxis (PrEP) medication. Receive PrEP in Singapore or Bangkok, for as low as 68.50SGD per month. This is substantial savings with average prices from 500-900SGD in Singapore. PrEP Singapore works with clinic partners, hospitals and the Health Authorities across Asia to provide Singaporeans legitimate access to affordable PrEP medication options (e.g. TENO EM). Note: Our required tests may differ from the video - which includes Liver & Kidney Function, Hep B and HIV. To begin protecting yourself with PrEP, we recommend visiting a Singapore sexual health clinic for blood tests (HIV, Hep B, Liver and Kidney Function). 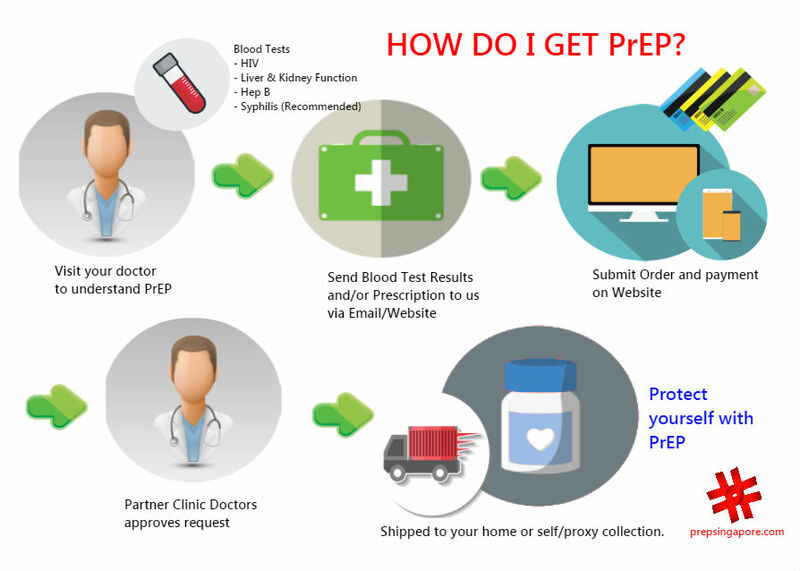 Once you have blood tests results and/or doctor approves your prescription, contact us on your request for PrEP. We can also recommend suggested clinics, if you don't know where to go (reach out to us by adding us on LINE below)..
PrEP is great, but not a cure-all pill that comes with risks and does not offer 100% protection. Use it only after proper diagnosis and consultation from your sexual health doctor. NEVER use PrEP without diagnosis and consultation, it could be detrimental to your health when used incorrectly and if you are unaware of your HIV status. For more details on PrEP, consult your doctor or go to Action For AIDs website or read this article. If you would like to find out more, email us at service@prepsingapore.com or add our line by clicking below on your mobile. Disclaimer: TENO-EM is a generic medication produced by Thailand Government Pharmaceutical Organisation and this website does not suggest the support or endorsement of the product by Health Science Authority Singapore or any of the Singapore clinics or Hospitals recommended for consultation. By providing your email address, you agree to allow us to send you information regarding our business and relevant promotional materials.